Town of the Brianza area near Como, located in the valley of the River Seveso, on the first moraine layers of Lombard pre-Alps. Although the area was inhabited by Ligurian settlements and Etruscans, first, and Romans, then, the first certain annotation in a written document dates 859, in which Ottone da Carimate, a lawyer of the Milanese Church, is mentioned. In 1149 it is certain that there was a castle, destroyed in the XIII century during the war between Milan and Como, and rebuilt on request of Luchino Visconti in 1345, who named it "Citadella", due to its aspect of a stately home rather than a fortress. 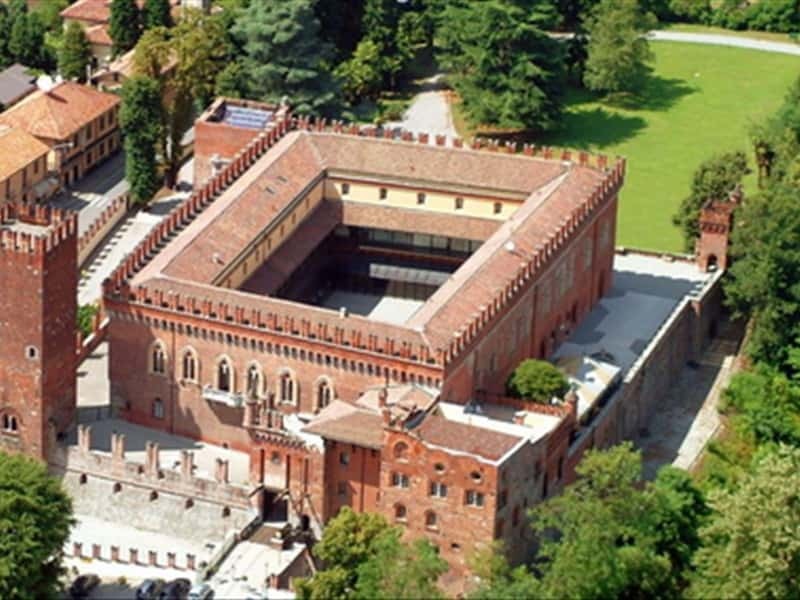 About 40 years later, the castle belonged to Catherine Visconti, donated to her by Galeazzo Visconti, Lord of Milan from 1386. The present Parish Church of St George and Mary Immaculate of Carimate was built in 1752, after having demolished an existing smaller building. Inside are preserved various works of art including a painting of San Carlo, artwork of the artist Cerano, an ancient crucifix venerated in the Church of Our Lady of the Tree, frescoes by Giuseppe Grassi in the baptistery and vestry, a wooden statue of 'Immaculate Conception and an organ of Antonio Fontana. Not to miss: the Sanctuary of Santa Maria dell'Albero, built after a miraculous apparition of the Virgin to some local farmers, announcing the end of the famine. This town web page has been visited 28,182 times.